An exit strategy is an important element you need to develop as a smart entrepreneur. It helps you make a smooth transition to whatever venture you choose to go into. Developing a strategy simply means focusing on how you would want to leave your business when the time comes. 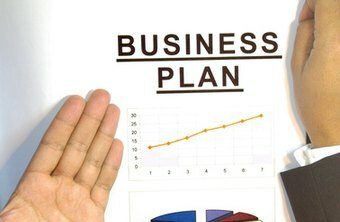 This post will look into some of the things you can do to put a business exit strategy plan together. The first thing you need to do when planning an exit strategy is to set clear goals, both for the business and yourself. Determine whether you would like to remain involved in the day to day operations of the business or have a complete break. Decide if you want to retain some control or give the new owners free rein. It is important you know what you want to do once you exit. There are several options you can explore if you don’t know what to do with the business once you exit. You can pass it on to one of your family members, sell it to another company, hold IPO or have one of the individuals in the management team buy it. You can also consider employee buyout or invite investment from a private equity firm. Use the goals you created to help you choose the best option. If your goal was to have some control over the business, then you can hold an IPO. Once you decide on the options you want to pursue, you need to make a detailed plan. Clearly outline how the transition will take place, including what steps you will take. In order to have a smooth exit, you will first need a valuation of the company. An accountant will help you with this. You may also need to create a succession plan. This explains what will happen in case there is a transfer of ownership. Exiting a business is an overwhelming event. There is a lot of paperwork you need to take care of and tax implications to consider. If you are transferring ownership to another company, you will need to do things like finding a buyer, putting the business up for sale and helping prospective buyers inspect the business. You will need a team to help you with such things. An exit strategy is not only a business decision. It is also personal. It will most likely affect your life, whether negatively or positively. So, you need to create a plan regarding your personal finances. If you want to move on to another business, you need to consider whether you have enough saved to cater for the business needs as well as your personal expenses. If you fear you don’t have enough money to survive once you exit the business, then you need to think otherwise. Exiting a business is not something you can take lightly. Any wrong move may leave you financially strapped and regret for the rest of your life. Use the tips above to create a viable exit strategy.